At STH, we have a history of cryptonight mining on various server and workstation platforms such as the Intel Xeon E5, AMD Ryzen, and AMD EPYC. We also provide a full suite of Docker-based mining applications, private pools, VM images, bandwidth estimates, configuration/ performance advice, for those mining on clusters of servers. If you want to get involved, head over to the STH crypto mining and markets forum. 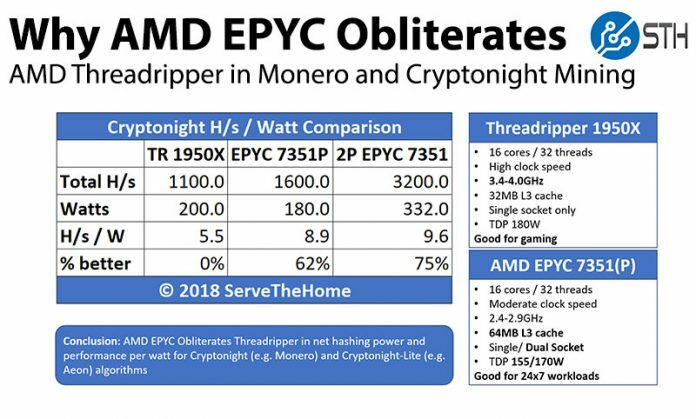 Recently a few readers, and the AMD PR team at a dinner this week made us aware that some of the consumer-oriented sites are extolling the virtues of mining Monero on AMD Threadripper. These articles have a similar premise to what we published with the EPYC 7601 in June 2017. We wanted to show why AMD EPYC completely obliterates Threadripper in cryptonight mining, and it is not even close. 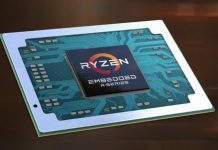 The salient points are that AMD EPYC has more L3 cache and lower clock speeds. Cryptonight mining generally requires 2MB cache per mining thread. As a result, one can run twice as many threads on a 16 core / 32 thread EPYC than on the same number of Threadripper cores. 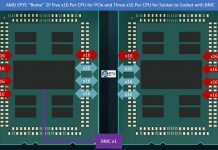 Since EPYC has lower clock speeds, it is also able to use less power making single socket v. single socket more efficient. That efficiency scales in dual socket configurations to where we are seeing a fairly regular 75% efficiency gain, along with higher hash rates using AMD EPYC. While AMD Threadripper is competitive with previous generation Intel Xeon platforms for mining, it is not competitive with modern servers, even when those servers are built using the same basic die building block. One of the key aspects of CPU mining is that one is constantly battling those with zero hardware and power costs. 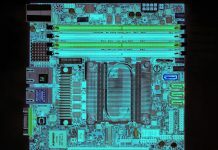 If you are buying a consumer-oriented CPU, or server CPU for that matter, to exclusively mine on, you are going to get priced out of the market by those with essentially free hardware and power (botnets and some server farms.) Also, we tagged this post and video with Monero since it is the largest Cryptonight currency, but this applies to others such as Sumo, Turtle, Electroneum among others as well. Likewise, AMD EPYC is also extremely efficient at Aeon (Cryptonight-lite) mining. The smaller, less liquid, coins tend to be more profitable than Monero albeit harder to transact with. The key here is that it is fun to mine on the desktop, but if you want power, efficiency, and stability along with servers that can mine and run other applications, AMD EPYC is a far superior choice. How does Cache size affect mining on Intel CPUs then, given the different cache sizes between e.g. Broadwell, Skylake and Skylake SP? Monero’s algorithm uses either 2mb or 4mb per utilized CPU thread. So basically more threads you use with dedicated at least 2mb cache per thread better mining performance, and rest goes to actual core and cache speeds. I haven’t really played around with monero settings (using xmr-stak-cpu), I noticed that Ryzen has a better hash rate than a skylake (xeon E3) as well as a Xeon with eDRAM, however there may be room for optimization. Newer Skylake-X and SP have a lot more L2 cache per core, however they also get a smaller slice of L3 (though the CPU has a feature to partition this). So, “AMD EPYC is also extremely efficient at Aeon (Cryptonight-lite) mining”… And what are the exact results here? 🙂 Generic Kaby Lake CPUs perform not proportional to thread count increase, but more. E.g. u got i5-7600, which gives 238 h/s using -t 3 for cryptonight, but 865h/s for cryptonight-lite (using -t 3 again, but 3 threads of 2Mb, not 6 threads of 1Mb), and this is not x2, but ~x3.6. For cryptonight-lite, if “core count” <= "1Mb thread count", u should use double threads, e.g. u should not try to use 6 threads of 1mb on quad-core CPU, u'd better go for 3 double threads in this case. Some CPUs like Xeon Bronze 3106 got L2 cache size similar to L3 cache size, so if you give a try using "thread count = L2 cache size / 2Mb", e.g. -t 4 for Xeon Bronze 3106, do you get a speed boost when compared to same 4 threads on CPU that can store them only in L3? Dim – I do skim. I started taking a few notes here and will continue to expand as we get to it: https://forums.servethehome.com/index.php?threads/cryptonight-v-cryptonight-lite-hashrates.18750/ most of our 2P EPYC systems are running longer workloads now. The cryptonight to cryptonight-lite jump is not 3x and it also varies by SKU. Thanks for the link! I’ll keep an eye on it. Anyone test Intel Kaby-G i7-8709G NUC for Crypto mining? 24 Vega Compute Units should do something.